What first stands out to me when I look at this journal is how colorful it is. It has a beautiful cover and a nice pen holder on the side. When you first open it, it has an introduction on ideas on how to use this particular journal. 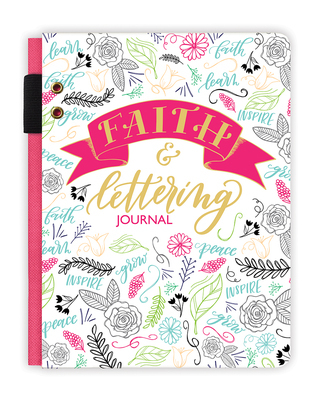 Basically if you like drawing and making letters unique, this is the perfect journal for you! It gives you pages to write, practice lettering, graph paper sections, and even bullet pages. I like this journal because it is truly unique. There is also a book that goes along with the journal which is also under the above link I shared. "I received this journal for free from Ellie Claire. All opinions are my own."